G20 engagement partners from Business (B20), Civil Society (C20), Labour (L20), Think Tanks (T20) and Youth (Y20) have each provided a contribution for this issue of the Monitor. Each address how the groups are organising their contribution to the G20 process in 2014, their priorities for the G20, and thoughts on what would constitute ‘success’ in terms of possible outcomes from the Brisbane Summit. The Australian G20 Sherpa, Heather Smith, has provided an opening comment. One characteristic that all engagement partners share is their recognition of the importance of strengthening the G20. Through their engagement with the G20 presidency, the G20 engagement partners have an important role to play in communicating the G20’s work to the wider public for greater understanding. The engagement partners can use their networks to help convey what the G20 is doing, and why the involvement of the non-government sector is important. The G20 first sought to formalise its outreach with the broader community at the Toronto Summit in 2009, holding consultations with business representatives from member economies of the G20. Since then, the consultation process has expanded and become more organised. The G20 chair now appoints a lead coordinator for each of the five groups, or to use the terminology of the Australian chair for 2014, the ‘engagement partners’. The appointed coordinator then pulls together contributions from that segment of society in both G20 and non-G20 countries. The objective is to identify policy priorities for the G20. Each of the G20 engagement partners has provided a paper for this issue of the Monitor. The papers canvas a range of issues, including how the groups are organising their contribution to the G20 process in 2014, what they consider to be some of the priorities for the G20, and thoughts on what would constitute ‘success’ in terms of possible outcomes from the Brisbane Summit. Heather Smith notes that the work of the B20, L20, C20, Y20 and T20 'will have maximum impact if it is targeted, actionable and pursues real outcomes.' One characteristic that all engagement partners share is their recognition of the importance of strengthening the G20. And all are working to achieve such an outcome. When G20 leaders first met in Washington D.C. five years ago they were spurred by the looming financial crisis, and a realisation that the existing avenues of cooperation no longer reflected modern global economic and political realities. A leader-level dialogue between the largest developed and emerging economies has allowed us to deal with pressing global challenges quickly, with all the major parties at the table. The strength of the G20 is that representativeness – the inclusive mix of countries and people that it brings together. As Australia’s Prime Minister Tony Abbott has made clear, ultimately the G20 exists to serve people, not governments. The G20’s decisions affect the 4.6 billion citizens across its membership, and many more beyond. It is only natural then that the G20 should consult widely beyond governments, and listen to the people whose lives, opportunities and livelihoods we want to improve. Business and labour representatives have been involved in dialogue with the G20 from the time of the first summit in Washington – informally at first, but later in a more structured way under the B20 and L20. The more recent emergence of the Civil Society 20, Youth 20 and Think 20 is an explicit acknowledgement of the G20’s wide impact, and the need to engage with those who feel that impact. As G20 President for 2014, Australia fully supports this process of dialogue. It is essential for a range of reasons. In particular, while G20 governments may have different views from the groups on some issues, the process of dialogue around those views is vital to creating robust, workable policy for the real world. These groups are partners in the G20’s efforts, and our collaboration will strengthen outcomes at the Brisbane summit this November and beyond. The G20 is an economic forum, so it is important that we listen to people on the economic frontline in order to craft good policy that addresses real issues. The ‘20s’ provide an excellent channel for bringing together the range of non-government opinions to inform G20 priorities and leaders’ decisions, and we want to hear their perspectives. At the same time, we look to those outside government not just to inform policy, but to help make it successful. As major economic actors the views of these groups have weight in their home countries, and they can call on their governments to act on the G20 agenda. They can also strengthen reform efforts by formulating their own actions and commitments that support G20 goals. Engagement with the ‘20s’ and others is also vital in communicating the G20’s work to the wider public for greater understanding and support. They can use their networks to help convey what the G20 is doing, and why the involvement of the non-government sector is so important. The Australian G20 Presidency is already working closely with the B20, L20, C20, Y20 and T20. Our agenda this year is focussed, and we appreciate the groups’ focus too. Like the G20, their work will have maximum impact if it is targeted, actionable and pursues real outcomes. Together we can ensure the G20 will strengthen opportunity for people and business, lift living standards and deliver strong, sustainable and balanced growth. The B20 has played an increasingly active role in G20 deliberations since its first formal dialogue with G20 governments at the G20 Summit in Toronto in June 2010. The B20 provides a real economy perspective to G20 deliberations, and contributes practical recommendations to help guide G20 commitments from year to year. As 2014 develops, the global economic outlook gives reason for optimism. Economic growth is set to rise in the United States to 3 per cent from under 2 per cent and growth in China is likely to remain above 7 per cent. The significant financial risks facing Europe have eased. But while the global economic outlook is improving, recovery remains volatile and fragile. High unemployment persists across the developed world and emerging economies are confronting challenges of their own, including the need for structural reform. Prime Minister Abbott has committed Australia’s presidency to promoting stronger economic growth and making the global economy more resilient to deal with future shocks. The first Meeting of G20 Finance Ministers and Central Bank Governors committed to collective action to lift GDP by 2 per cent above the trajectory implied by current policies over the coming five years. Proposed action includes increasing investment, lifting employment and participation, enhancing trade and promoting competition, in addition to macroeconomic policies. The B20 strongly supports these objectives. The G20 came to the fore following the financial crisis when its decisive and coordinated action prevented another great economic depression. In a post-crisis world the effectiveness of the G20 has been called into question, but the B20 believes that serious global challenges remain and that the G20 provides the best mechanism for developing coordinated action to address them. The world needs the G20 to produce meaningful outcomes and, as the Australian prime minister observed in Davos, business has an important role. Strong economies are not possible without a profitable private sector. For the most part, it is responsible and ethical businesses that create sustainable economic growth, but we look to governments to make decisions that enable a business environment that facilitates long-term sustainable growth and job creation. Business leaders are uniquely placed to assist governments with these decisions because they directly experience the barriers that restrain economic, business, and employment growth. In 2014, B20 input into the G20 agenda will focus on the most substantial impediments to global growth and job creation. The B20 sees four critical issues – the effective operation of financial markets, the development of global human capital, the investment environment (particularly the development of productive infrastructure), and encouraging greater opportunities for trade in goods and services. Taskforces established around these areas have identified the core problems and are now analysing how best to address them. The taskforces will test and refine potential recommendations over the coming months ahead of the B20 Australia Summit in Sydney in July. The starting points for each of the priority areas are discussed below. In addition the B20 will continue to advocate recommendations from previous years that contribute to global growth and job creation. Given the significance that business and government place on the availability of credit as a driver of growth, the B20 is focused on encouraging the G20 to complete major regulatory reforms of the global financial system instigated in response to the 2008 crisis. These reforms aim to limit systemic risk in financial markets and to thus deliver a safer and more stable global financial system. They must be completed before it is possible to look for new ways to increase the financial sector’s contribution to economic growth. Accordingly the B20 is concentrating on three areas associated with the current round of regulatory reform. These goals are consistent with the views of the International Institute of Finance, which has urged G20 finance ministers to implement reforms with international consistency, and with the full involvement of national authorities so that cross-border resolution can be managed efficiently to minimise value destruction and taxpayer cost. Third, that reform of financial systems takes better account of the fragmented nature of financial markets, particularly in looking at the needs of emerging markets. The present reform measures largely address problems that arose in Europe and the United States. It is important that international regulators properly consider financial systems that are at different stages of development or have fundamentally different characteristics when designing new global rules. The Financial Stability Board has foreshadowed its examination of national regulatory policy initiatives for international “spill-overs that could be harmful to the objective of an open, integrated system”. Global rules will be stronger if they take into account the reasons for potential divergence in domestic regulations and address conditions throughout the global market. The repositioning of global economies, rapidly changing technology, and shifting social dynamics continue to impact today’s work environment. For example, a recent study speculated that 47 per cent of job categories could be open to automation within two decades. What is now being observed as ‘jobless growth’ can be recognised as a consequence of this and other developments in the workplace. These fundamental changes require responses focused on ensuring that workplace modernisation does not result in increasing and permanent unemployment. Business, government, trade unions, educational institutions, and community organisations will need to take greater responsibility for delivering practical, actionable, and measurable solutions that support jobs growth. The B20 taskforce is considering factors that contribute to meaningful employment such as education, labour demand, and the enabling environment. It will review skills, training, participation, mobility, technology, and regulatory frameworks and how these can enhance the involvement of individuals in a rapidly changing workforce. One outcome is to develop mechanisms to improve the efficient allocation of global human capital. Maximising the potential for job creation by removing unnecessary regulation. This includes: disentangling complex labour laws that impede hiring processes, particularly for SMEs; encouraging flexible forms of employment; promoting entrepreneurship; and supporting initiatives that increase workforce participation, including for vulnerable groups. Providing education, training and skills to meet labour demand by encouraging schools, vocational education and training (VET) institutions and universities to have effective education-to-work programs that provide the best chance of transition to employment, and closer collaboration between business and education providers in the design and development of curricula and training, including dual-training VET systems. Creating solutions to better match supply and demand by leveraging technological advances to ensure the right people are working in the right role both within a country and across borders, and implementing measures to reduce transition time into new employment and minimise frictional unemployment. Encouraging labour flexibility to adapt to rapid changes by establishing systems and tools to quickly reposition resources to meet changing labour needs, and promoting greater workforce flexibility through augmenting traditional job structures and adopting innovative operating models. Implementing measurable targets to ensure accountability and progress by providing recommendations that are practical, actionable, and measurable. The dual objectives of improved infrastructure and investment are key to unleashing the productivity benefits that accelerate economic growth, encourage deeper and wider international trade, and increase employment. The value of this multiplier effect makes it even more important for the B20 to provide practical advice to the G20 on how to improve investment, particularly in infrastructure. McKinsey Global Institute estimated in 2013 that, globally, at least US$57 trillion would be needed to meet necessary infrastructure funding requirements through to 2030. Initial analysis by the Boston Consulting Group suggests US$45 trillion of this is likely to be funded by public and private sector investment under current conditions, leaving a likely funding gap of approximately US$15 trillion. The funding gap is due not to a shortage of investment capital, but to a lack of alignment between the requirements of capital sources and appropriate projects. B20 recommendations will address this funding gap based on an evaluation of factors that impinge on the efficient allocation of investment capital. These include project selection and prioritisation, procurement and approval processes, the legal and regulatory environment, suitability of financial instruments for investors, community attitudes to user charges and private returns, and accounting and taxation treatment. The Institute for International Finance has also identified the importance of settling global financial regulation to unlock long-term investment capital from the pension and insurance sectors. It also echoes the need for developing financial instruments with different risk/return profiles to attract different classes of investor. In combination with the areas of focus outlined above, this could result in the emergence of infrastructure financing instruments as a new asset class. There is renewed momentum around the trade agenda as governments look for opportunities to drive economic growth. Drawing on World Trade Organization statistics, World Bank World Development Indicators and other sources, Bain & Company identifies a strong correlation between the steep increases in global GDP and international trade since 1950. Building on the December 2012 Bali Agreement on Trade Facilitation, the B20 is focused on addressing direct and indirect trade barriers through coordinated action. The B20 work will examine the range of barriers to trade, recently identified by the World Economic Forum as including problems with market access, border administration, transport and telecommunications infrastructure, and business environments. Advocating trade liberalisation and resisting protectionism. While tariff protectionism has successfully been avoided in the wake of the Financial Crisis, G20 countries have added more than two thousand non-tariff measures since the standstill on tariff protection. Enabling the multilateralisation of preferential trade agreements (PTAs). With the WTO’s Doha Round incomplete in its 13th year, PTAs have become the primary mechanism for negotiating trade agreements, with significant positive effects on the volume of international trade. However, PTAs increase complexity, especially for SMEs. Improving trade facilitation and lowering supply chain barriers (building on Bali). Removing supply chain barriers has a significant impact on trade and a dramatic impact on GDP due to greater efficiency spillovers. Bain & Company estimates that improving trade facilitation just halfway to global best practice would have six times more impact on GDP growth than removing all tariffs globally. Increasing the emphasis on facilitating freer trade in services. While services make up 70 per cent of global GDP, they represent only 20 per cent of international trade. Services trade is restricted by high costs, which are not coming down. Barriers to trade in services differ by industry and are not as well understood as barriers to trade in goods. The B20 will support governments in communicating the need for and benefits of free trade policies, in particular the associated economic benefits, including economic and jobs growth, and in building community support for further trade reforms. Over the last few years the B20 has worked closely with the G20 to highlight the implications of corruption, not only in terms of its impact on public trust and the integrity of markets, but also as a significant impediment to economic growth, particularly in emerging and developing countries. To advance its work of previous years, the B20’s anti-corruption working group will work across the four priority areas to identify and highlight specific instances in which corruption and a lack of transparency create impediments to economic and employment growth. The Meeting of G20 Finance Ministers and Central Bank Governors in Sydney in February 2014 was an important first step in the development of this year’s G20 agenda, with the communiqué setting out a clear roadmap for the development of collective action on growth. Over the next five months, in the lead up to the B20 Summit in Sydney in July, the B20 will develop and consult on draft recommendations encompassing the four core areas discussed above with the international business community, governments, and where appropriate other outreach groups. At the B20 Summit, those recommendations will be finalised and prioritised for consideration by G20 leaders. The B20’s contribution in 2014 will have been effective if its recommendations contribute to significant G20 commitments to coordinate action on growth and job creation, particularly structural reforms that improve the investment climate and enhance productivity. IMF, “Is the Tide Rising? (21 January, 2014),” http://www.imf.org/external/pubs/ft/weo/2014/update/01/pdf/0114.pdf; OECD, Economic Policy Reforms 2014: Going for Growth Interim Report (Paris: OECD Publishing, 2014). B20, “Media Release: B20 Supports Call for Private Sector Led Growth and Employment (23 January, 2014),” http://www.b20australia.info/Documents/20140123_B20_MediaRelease_Davos_B... also see B20Australia.info. Abbott, “Prime Minister’s Address to the World Economic Forum, Davos, Switzerland (23 January, 2014)”. See the B20’s recommendations for 2012 (Mexico) and 2013 (Russia) at: B20, “B20 Task Force Recommendations: Concrete Actions for Los Cabos (June, 2012),” http://b20.org/documentos/B20-Task-Force-Recommendations.pdf; “B20-G20 Partnership for Growth and Jobs: Recommendations from Business 20 (5-6 September, 2013),” http://www.b20russia.com/B20_WhiteBook_web.pdf. Timothy D. Adams, “Letter from the Institute of International Finance to the G20 Finance Ministers and Central Bank Governors (12 February, 2014)” http://www.iif.com/emp/policyltrs/. Mark Carney, “Letter from the Financial Stability Board to the G20 Finance Ministers and Central Bank Governors (17 February, 2014),” https://www.financialstabilityboard.org/publications/r_140222.pdf. Carl Benedikt Frey and Michael A. Osborne, “The Future of Employment: How Susceptible Are Jobs to Computerisation?,” (Oxford: Oxford Martin Programme on the Impacts of Future Technology, 2013). World Economic Forum, “The Human Capital Report (2013),” http://www3.weforum.org/docs/WEF_HumanCapitalReport_2013.pdf. Estimate by Boston Consulting Group of government spending reductions needed to meet IMF debt-to-GDP targets, based on: IMF, “Fiscal Monitor: Taxing Times (October 2013),” http://www.imf.org/external/pubs/ft/fm/2013/02/pdf/fm1302.pdf. Adams, “Letter from the Institute of International Finance to the G20 Finance Ministers and Central Bank Governors (12 February, 2014)”. World Trade Organization Statistics Database accessed 29/10/2013; World Bank World Development Indicators accessed 29/10/2013; Jutta Bolt and Jan Luiten van Zanden, “The First Update of the Maddison Project, Re-Estimating Growth before 1820,” in Maddison-Project Working Paper WP-4 (2013). Robert Z. Lawrence, Margareta Drzeniek Hanouz, and Sean Doherty, eds., The Global Enabling Trade Report 2012: Reducing Supply Chain Barriers, Insight Report (Geneva: World Economic Forum, 2012). Bain & Company analysis based on World Bank data: World Bank, “Data: Tarrif Rate, Applied, Weighted Mean, All Products (%) (2013),” http://data.worldbank.org/indicator/TM.TAX.MRCH.WM.AR.ZS. Simon J. Evenett, What Restraint? Five Years of G20 Pledges on Trade, The 14th GTA Report (London: Centre for Economic Policy Research, 2013). Michael Ferrantino, Marinos Tsigas, and Theirry Geiger, “The Benefits of Trade Facilitation: A Modelling Exercise Based on 2007 Baseline,” in The Global Enabling Trade Report 2012: Reducing Supply Chain Barriers, ed. Robert Z. Lawrence, Margareta Drzeniek Hanouz, and Sean Doherty (Geneva: World Economic Forum, 2012). World Trade Organization Statistics Database accessed 29/10/2013; World Bank World Development Indicators accessed 31/10/2013. With the burning platform of the Global Financial Crisis to focus the minds of the world’s economic and financial policy-makers six years ago, there was a clear need for coordinated action to bolster the global economy. However, in the years following, we have seen only sluggish recovery, and strong differences of opinion about austerity versus stimulus as ways to foster more resilient economies. In recent years, a kind of global policy drift has descended, in the absence of a sustained recovery and an entrenched inability to spread the benefits of profits and growth more widely. A casualty of this drift has been that intangible commodity of ‘confidence’. I am referring to confidence in two ways: there is a need to restore the confidence of investors and consumers, and there is an equally pressing need to restore confidence in governments, business, and institutions. It is a complex challenge for the G20, yet it is also a necessary first step towards greater prosperity that benefits more people. The ‘burning platform’ under today’s G20 is growing inequality, and the resulting political and social instability spurred by the realisation of many that governments are failing to deliver on their legitimate expectations. What I am sensing, alongside others active in civil society both in Australia and beyond, is a pervasive feeling of being left behind. It is the uneasy feeling – whether well founded or not – that others are benefiting at your expense. In this interconnected world with its 24/7 news cycle, this sort of exclusionary elite activity is highly visible, and the disquiet it engenders is also more visible. It is easier to mobilise around discontent, with the result being greater impatience, faster political churn, and a more chaotic policy and regulatory environment facing businesses and investors – further undermining confidence. Every day brings a new revelation of unrest and protest against elite excess, corruption, or incompetence somewhere around the globe. These developments have underlined the need to reinvigorate community engagement in the policy-making process, and for policy-makers to listen more intently to the voices of the excluded and the simply ordinary. I see the inclusion of a Civil20 (C20) in the G20 architecture as an antidote to the disconnect pervading the societies of even the most robust democracies in the 21st century. Civil society does much of the heavy lifting for a good society, and tapping in to that expertise and deep community connection is a sensible response from global economic policy-makers faced with complex, seemingly intractable challenges. Building resilient economies requires more than simply getting out of the way of the private sector. It requires improving the health and education levels of today’s workers and the next generation of job-seekers. It requires more sophisticated, cross-sectoral problem solving to give more countries a better chance of delivering on the basic demands of citizens. I have heard from those who attended the recent Davos Forum that conversations on the sidelines between business and government leaders are reflecting these broader concerns. That is not to say that getting the global financial architecture right is no longer of concern. Rather, it is recognition of the economic and human imperative to reduce inequality and head off further decay in social cohesion. This is not about G20 concerns straying into territory that has until now been exclusively ‘covered’ by civil society. It is rather that these concerns are now recognised as inseparable from the broader debate around growth. For example, it is becoming less credible to assume that growth is an automatic job-creator. The ‘youth bulge’ challenge facing myriad countries is a more complex and more urgent issue than headline unemployment figures indicate. Some regions of the world are facing the prospect of a ‘lost generation’ who risk being locked out of the economy indefinitely – an almost complete stagnation of social mobility. Issues such as job creation are at the heart of the C20’s policy development task this year. After some progress ‘on paper’ out of the St Petersburg G20 Leaders’ Summit last year – when the adjective ‘inclusive’ was added to the G20’s aim of fostering strong, sustainable and balanced growth – Australia’s C20 Steering Committee wants to assist civil society to offer up workable answers to the question of how to spread the benefits of growth more widely. Civil society engagement with the G20 at a formal level has been steadily increasing over the past three years. Leaders and sherpas have recognised the benefits of seeking input from representatives of those communities their policy decisions will impact. Under Russia’s presidency last year, civil society was provided unprecedented access to policy development processes, although access at the St Petersburg Leaders’ Summit itself was limited. The Australian Government last year committed to continuing a formal C20 group as an integral part of the G20 process. We are consulting with civil society globally and channelling the concerns of our diverse constituency into a formal policy development process, which will see achievable policy solutions presented to the G20 for consideration. We bring to this process our deep engagement with those on whose behalf we advocate – in particular, those without a strong voice on their own. The C20 – and civil society more broadly – has an important role to play in the G20 structure through arguing the case for economic reform in ways our constituents understand. We stand ready to back G20 economic reforms that deliver on the aspirations of communities and reduce disadvantage. A commitment to openness and transparency in the policy development process has been important to Australia’s C20 Steering Committee from the outset. Late last year, we put forward a range of broad policy areas for interested groups and individuals to select as their priorities for consideration by the G20. It was made clear to all that the topics selected should be of relevance to the G20 as a global economic forum. This is core G20 business – sustainable growth which meets the jobs challenge at a time when there appears to be no clear flow-through of economic growth to job creation. It is a multifaceted problem, and one civil society spends much time working on, inside and outside of the G20 process. The generation of quality jobs is key to social mobility, and also to that less tangible commodity called hope. Good jobs are key to reducing inequality, and the C20 will explore the best ways to maximise the job opportunities available to vulnerable groups, including youth and the disabled. The participation of women is also key to boosting inclusive growth. Looking beyond 2015, civil society also recognises the importance of human capital investment to the post-MDG development agenda. The C20 is on the same page as business and government regarding the importance of improved infrastructure to productivity and growth. However, we are anxious to see significant investment in social infrastructure to develop human capital, alongside construction of economic infrastructure. The need for a step-up in infrastructure investment underscores the importance of reform to counteract tax leakage and give governments a sustainable revenue base to apply to productive infrastructure. Planning around infrastructure projects must also take into account potential negative effects on local communities and environments. The failure of other multilateral forums to grasp the climate change challenge means the G20 must play a constructive role in pushing the wealthiest nations towards greater consensus on climate change action. The G20’s deep expertise in financial market matters should be applied to the climate financing policy debate. That developing nations are shouldering most of the burden of climate change impacts and the unsustainable exploitation of resources is exacerbating the global inequality dilemma. A pressing challenge faces governments, business, and ordinary citizens alike on the broad issue of governance. Tax base erosion, profit shifting, evasion, and corruption drain the resources of nations and individuals, and enrich the already powerful. Any further delay in tackling these issues through coordinated action further corrodes fragile confidence. It is disempowering on all levels. No amount of overseas aid can make up for a country’s inability to build and police a robust revenue base. In the recent past, it has become clear that not even Europe is immune from the cycle of economic malaise that can set in when public debt becomes unsustainable. If – as US jurist Oliver Wendell Holmes is quoted as saying, “taxes are the price we pay for a civilised society” – then in 2014 it is fair to say that taxes are the price we need to pay for confidence and development. Civil society is collecting policy ideas around the potential of transparency and open data to plug some of the leakage in tax systems, and to make business and governments more accountable for money flows throughout supply chains. Together, these four policy areas cover some of the fundamental building blocks of prosperous, resilient economies. Getting policy settings right in each of these areas are challenges even for the most wealthy of countries. For less-wealthy nations, innovative policy solutions in these areas are critical. A collaborative policy development process – mainly via an open web platform – is currently under way to flesh out the C20’s policy calls, in the lead-up to a global civil society summit in Melbourne in June. Thought leaders from around the world, as well as thought-provoking Australians, will gather to hear about new and better approaches to the complex human and economic problems faced by policy-makers today. The C20 Summit will debate and endorse the C20’s four, detailed policies ahead of presenting the policies to a meeting of G20 sherpas, also in Melbourne. Once the policies are in the G20 ‘system’, the challenge of getting them on to the G20’s formal agenda remains. Civil society stands ready to employ our deep experience in advocacy on behalf of the marginalised (and the simply quiet), to get the G20’s attention. We will encourage our constituencies to take an interest in our plans for inclusive economic reform, and we will seek to keep the debate alive in the lead-up to the November leaders’ summit. We are committed to making the case for intelligent policy reform – explaining to the public the link between coordinated global action to foster inclusive growth, and the well-being of society as well as individuals. It is important to note that advocating for action in these four policy areas is not the only input which civil society has into the formal G20 process. This policy development and advocacy activity will occur alongside our technical-level contributions to the G20 work program, including the G20’s Development Working Group. This sort of cross-sector problem solving has enormous potential for good in the complex global policy environment. That is why the C20 is looking forward to more opportunities to share ideas and partner with other G20 satellite groups – including the B20 and the L20 – as the year unfolds. The satellite groups share mutual concern around many of the biggest issues related to inclusive growth, including job creation and tax transparency. Despite the constant calls for the G20 to deliver practical reforms with key actions covered by a succinct communiqué, I believe the true marker of a successful leaders’ forum will be the restoration of confidence to civil society and business alike. This can be achieved through evidence of the G20’s true engagement with the challenges facing the world in 2014 and beyond, as well as by generating an encouraging list of action items. It is not an understatement to say that the G20 needs to show that it is serious about putting in place the right settings to assist countries to move along the development continuum, bringing hundreds of millions of people along with them. The extent of the G20’s commitment will be most easily demonstrated by unflinching action to reduce tax base erosion, profit shifting and other forms of tax leakage, including corruption. Governments cannot fulfil their social contracts without effective reform in this area. The tax agenda goes to the very capacity of countries to invest more in their people, and it requires a uniform commitment from every G20 jurisdiction at a minimum – this is why global fora such as the G20 exist. The whole world must sign on. The world stands watching to see if the G20 is capable of embracing fair, far-sighted reforms. I have no doubt that if the public sense that leaders are avoiding difficult issues, or fudging reform timelines to push hard work onto future generations, they will let their leaders know – loud and clear. Chair of the C20, CEO of World Vision Australia. The Labour 20 (L20) represents the voice of workers through their trade unions to the G20. It is convened by the International Trade Union Confederation (ITUC) and the Trade Union Advisory Committee to the OECD (TUAC), working in tandem with current host the Australian Council of Trade Unions (ACTU). For more information, go to Labour20.org. The Brisbane Summit could provide the setting for coordinated G20 action to kick-start the global economy and provide job-rich growth or, alternatively, it could be another ‘photo-op’ for global leaders, devoid of substance. There are pressing economic and social needs that demand determined government responses. It is essential for the G20 to rediscover political will and address these issues, thereby proving its own relevance. A successful Brisbane Summit outcome is much needed. Too many G20 summits since 2009 have resulted in little progress, despite big promises. This year, the L20 is organising its work around four priorities: quality job creation, closing the income inequality gap, delivering financial reform, and supporting responsible long-term investment. Leading up to Brisbane, the L20 is calling for coordinated and determined action aimed at supporting inclusive, fair, and green growth strategies. The February 2014 communiqué from the Meeting of G20 Finance Ministers and Central Bank Governors explicitly refers to “weaknesses in some areas of demand, and [that] growth is still below the rates needed to get our citizens back into jobs and meet their aspirations for development”. This is a result of austerity, continuing volatility in financial markets, failures of banks to lend to the real economy, and constant back-peddling from commitments to coordinated policy responses. With the continuing unsatisfactory economic and social outlook, the L20 is mostly concerned by mounting unemployment numbers and rising income inequality that act as dampeners on aggregate demand. A decisive policy push to reverse the growth in income inequality and eradicate poverty should be at the heart of this year’s G20 presidency. The commitment made by ministers to “lift collective GDP by more than 2 per cent in the next 5 years”, including through investments in jobs, is the minimum that must be achieved. Commitments towards meeting ambitious jobs targets need to be a principal outcome of the G20 summit in 2014. The global jobs crisis, evident in the more than 200 million people out of work, with 40 per cent of them from the youth bracket, is hard to ignore, and the fact that a lost generation is emerging is alarming. There is a risk of unemployment becoming a structurally embedded problem, unless tackled through expansionary policies that are backed by active labour market policies. Meanwhile, new social risks are emerging from the growth in precarious or irregular employment, short-term contracts, informality, and unacceptable working conditions in industrialised as well as developing countries. G20 governments have to convincingly reverse these negative trends and restore the trust of their citizens. Organised labour around the world is calling on the G20 to take the lead in mainstreaming quality job creation and halting further deterioration of labour standards. The L20 therefore argues for a G20 Growth and Jobs Plan that includes investment in skills, green infrastructure and technology, the care economy, formalisation strategies and set job targets for each G20 member. It needs to be complemented by a G20 ‘Youth Jobs Pact’ that supports quality apprenticeships and youth guarantees. The G20 engagement partners have already deepened their cooperation, resulting in a joint commitment on quality apprenticeships. In the upcoming months, the L20 and B20 will also work together on strategies to expand infrastructure investment with a specific focus on harnessing pension fund investments – workers’ capital – for long-term investments, as well as on workers’ safety and skills development. The G20 has the scope and reach to set parameters for, and enhance responsible investment in, key public goods including infrastructure and green growth projects. ITUC research finds that investing just 2 per cent of GDP in the green economy over the next five years in twelve countries could lead up to 48 million new jobs. Infrastructure development can lead to a medium-term expansion of jobs and overall long-term productive potential. At present, forecasts of fixed investments are bleak for advanced economies. For 2013, the IMF expects to record growth of 0.5 per cent, compared with average pre-crisis growth rates of 3.5 per cent. The endorsement of the OECD High-level Principles on Long-term Investment by the G20 last year is welcome. Now, strategies have to be put in place to ensure effective compliance. Accountability and transparency are needed along the investment chain between asset owners and asset managers. In parallel, fair risk-sharing arrangements and transparency must be established within public-private partnerships. Income inequality is not just a social and political risk; it has a short- and long-term economic cost. The “widening income gap” will have ramifications for “health, education and social mobility across all regions of the world”, according to the World Economic Forum Outlook that lists income inequality second in its top ten trends of the global agenda for 2014. As previously noted, the lack of aggregate demand and private consumption keeps growth down. Increased purchasing power through higher wages and greater household confidence through expanded social protection would support demand. The core of L20 work lies in preventing any further race to the bottom on wages, as well as any additional growth in the imbalance between the income shares of labour and capital. Decent jobs and social well-being with social protection, well-set minimum wages, expanded collective bargaining, and enhanced social dialogue are therefore key priorities. Almost 75 per cent of the world’s population is not adequately covered by social protection. Inequality is rising so fast that over the past six years it has been a drag on ordinary incomes. The ITUC Global Poll of 2013 showed that for 87 per cent of the respondents, wages were falling behind the cost of living or remained stagnant. Inequality is the defining challenge of our age, and puts the very core of economies and democracies at risk. Inaction is unjustifiable. The trade union movement stands ready to assume its own responsibility. The higher the bargaining coverage is, the lower the relative poverty rate, and thus income distribution becomes more equal. Attacks on labour rights and structural reforms that weaken labour market institutions are clearly counter-productive. Instead, collective bargaining and strong labour market institutions need to be promoted by the G20 in and beyond the Brisbane Summit. Australia’s presidency of the G20 should demonstrate political leadership to support and enhance international cooperation to curb both tax evasion and avoidance. It is estimated that some $21 trillion is hidden in offshore tax havens. Regarding tax avoidance, there is a widening gap between corporate profits declared by multinational enterprises (MNEs) and corporate taxes collected. The Saint Petersburg Summit’s endorsement of the OECD Base Erosion and Profit Shifting (BEPS) Action Plan to curb tax avoidance by MNEs and the commitment to automatic exchange of information between tax authorities to curb tax evasion are essential steps forward. These commitments need to be lived up to within and beyond the G20, so as to help support domestic resource mobilisation in developing countries. The Meeting of G20 Finance Ministers and Central Bank Governors in Sydney promised that by Brisbane, effective measures to counter BEPS will be proposed and an implementation plan on a common reporting standard will be ready for discussion at their September meeting. A serious fight against tax evasion and tax avoidance would allow for fiscal space to promote growth. The same applies to the creation or extension of a financial transactions tax (FTT) throughout the G20. Taxing financial transactions would help ensure that the financial sector adequately contributes to financing public goods, reducing inequalities and curbing speculative trading behaviour. The 11 European countries going ahead with a European FTT could raise up to €37 billion. While G20 actions on taxation seem to be moving forward, the G20 commitment to scale down global finance has not met public expectations. Of primary concern is the still low level of ambition in tackling Too-Big-to-Fail (TBTF) banks. Financial concentration has in fact increased since the 2008 crisis because the TBTF ‘business model’ is still tolerated. Governments’ exposure to their risks and liabilities remains of concern. The G20 should commit to structural separation of TBTF groups so as to shield retail banking – that finances the real economy – from the risk generated by volatile investment banking and trading. First, action to counter climate change is conspicuously absent from this year’s G20 agenda – this omission is unacceptable. There is need to commit to a reduction of emissions by 25-40 per cent by 2020, to support the Green Climate Fund, and to tackle commodity price volatility. The L20 shares the concerns of our C20 partners on the economic and social risks of climate change. There is a clear need and an opportunity to promote green energy, technologies, and job creation across the G20. Second, the G20 has to give developing countries more policy space and review its own role in the post-2015 and other international development processes. It can play a significant part in ensuring fair wages and decent working conditions for citizens of developing countries and promote global regulation to improve workers’ safety along supply chains. Its task forces could jointly design upgrading strategies that make global value chains socially and economically sustainable. Last and more generally, the G20 has to move beyond action plans that merely repeat existing national policies towards coordinated actions and G20-backed national policies. Based on the Moscow and Saint Petersburg commitments, the L20 is closely monitoring national programs in terms of their implementation and future needs. Comprehensive strategies across different ministries, and above all a commitment by economic and finance ministers to prioritise quality employment in their policies are imperatives. Calls by the L20, B20, and many governments for the joint Labour and Finance Ministers’ Meeting that was held in Moscow in July 2013 to be repeated in 2014 have so far fallen on deaf ears. There is still time for the G20 presidency to show its commitment to coherence in policy and to mandate its finance and labour ministers to work together on employment and growth plans. The L20 will be pressing ahead on all these proposals in the months running up to the Brisbane Summit. General Secretary of the International Trade Union Confederation. World Economic Forum, “Outlook on the Global Agenda 2014,” http://www3.weforum.org/docs/WEF_GAC_GlobalAgendaOutlook_2014.pdf. International Trade Union Confederation, “ITUC Global Poll 2013: Economic and Social Outlook,” http://www.ituc-csi.org/IMG/pdf/ituc_global_poll_2013_web.pdf. The Think20 involves representatives from think tanks based in G20 countries. It is a relatively new addition to the engagement groups that form part of the G20’s outreach process. The first Think20 meeting took place in February 2012 and was organised by the Mexican G20 presidency in collaboration with COMEXI, the Mexican Council of Foreign Relations. Russia continued the process when it assumed the G20 presidency for 2013 and held a Think20 meeting in Moscow in December 2012. It was organised by the Russian Presidential Academy of National Economy and Public Administration. Australia continued with the Think20 process when it assumed the G20 presidency for 2014. The G20 Studies Centre at the Lowy Institute for International Policy hosted a Think20 2014 meeting in Sydney on 11 December 2013. Forty participants representing think tanks from all G20 members participated in this meeting. The list of participants is available online. What can the Think20 add to the G20? The main contribution that think tanks can make to the G20 process is in producing independently conceived policy ideas. Of course, this is in keeping with the contribution that think tanks can make on any public policy issue. At the first Think20 meeting in Mexico City in 2012, participants agreed that think tanks could serve as an ‘ideas bank’ for G20 governments. Moreover, think tanks are not advocates for a particular cause or item on the G20 agenda; their main interest is the advancement of good public policy. In addition, as the interests of individual Think20 participants are wide-ranging, they bring unique perspectives when compared with many of the other engagement partners in the G20, in that they are particularly interested in global economic governance and how it can be strengthened through the activities of the G20. The Think20 is a loose association of think tanks from G20 members. There is no formal membership, and participation in Think20 events is by invitation of the think tank organising the function. Participants take part in the Think20 in an individual capacity and do not formally represent their countries. Unlike the other G20 engagement groups, the Think20 does not seek to annually negotiate an agreed set of recommendations for presentation to each successive G20 chair. However, the chair of the Think20 does forward to sherpas a summary of the ideas discussed at Think20 meetings. Think tanks also have the potential to serve as partners in strengthening the accountability of G20 members in terms of implementing their commitments. Many of the participants in the Think20 are actively involved in following and commenting on G20 developments, including the performance of members. This can contribute to raising general awareness as to whether G20 commitments are being implemented. Another way in which think tanks can strengthen the G20 is by helping to explain the relevance of the G20 and the policies it promotes to a wider audience. The objective in organising the Think20 process in 2014 is to make a significant contribution to the development of policies within the G20 that are aligned with achieving substantive outcomes. In addition, efforts are directed at building on the successes of Mexico and Russia and to further strengthen the role of the Think20. In preparing these papers, participants were asked to refrain from describing the background or the development of the issue which they considered should be a priority for the G20 and to concentrate instead on identifying the policy recommendation that they would like see go to leaders at the Brisbane Summit. The contributed papers were published in a volume called Think20 Papers 2014: Policy Recommendations for the Brisbane G20 Summit. Copies of this publication were provided to G20 sherpas when they met in Sydney on 12 December 2013. The Think20 meeting held on 11 December 2013 was conducted as a roundtable and not as a conference. There were no presentations. The focus of the meeting was on identifying specific policy recommendations that could be submitted to sherpas. As chair of the Think20 2014, I participated alongside the chairs of the C20, L20, and Y20, in a meeting with sherpas on 12 December 2013. This provided an opportunity to outline to sherpas the main policy recommendations discussed at the Think20 meeting. The summary report provided to sherpas is attached to this Monitor paper. Drawing on the papers prepared for the Think20 2014, and the discussion that took place at the Think20 meeting held in December 2013, Daniela Strube, Hugh Jorgensen and I prepared papers on the four policy areas covered at the Think20 meeting. These papers were published in issue No. 8 of the G20 Monitor, released on 28 February 2014. The papers are not a summary of the Think20 meeting nor do they reflect the agreed views of participants. They contain the authors’ views on how the policy areas could be advanced at the Brisbane Summit, taking on board the ideas raised by other participants in the Think20 2014 process. Participants in the Think20 have been asked to provide a brief comment assessing how they see things progressing under the Australian G20 presidency. As background to this request, participants have been referred to Prime Minister Abbott’s address to the World Economic Forum, Treasurer Hockey’s speech on ‘Australia’s Role in Strengthening International Consultation and Cooperation’, and the communiqué from the G20 Meeting of Finance Ministers and Central Bank Governors held on 21-23 February 2014. Participants were asked to provide a brief assessment as to whether Australia has identified the right priorities, whether they were confident that sufficient progress would be made in 2014, and if not what more was required, and whether they thought key issues were missing. The responses from Think20 participants will be published in a future issue of the G20 Monitor. To further enhance the policy contribution of think tanks to the G20 in 2014, the G20 Studies Centre is organising a number of conferences in 2014. The G20 Studies Centre is jointly sponsoring with the Reserve Bank of Australia and the Productivity Commission a conference entitled ‘Financial Flows and Infrastructure Finance’. The conference will be held in Sydney on 20-21 March 2014. Infrastructure investment is a priority for the G20 in 2014. This conference will bring together senior central bankers, government officials, leading academics, and prominent practitioners to discuss: the factors affecting the ability of savings to flow across borders to the most productive investments; the role of financial market development; the challenges specific to infrastructure financing; the ability of public private partnerships to rise to these challenges; and the potential for institutional investors to meet the financing needs of infrastructure providers. The G20 Studies Centre is jointly organising with Griffith University a conference dealing with the G20’s contribution to the global development challenge. The conference will be held in Brisbane on 5 May 2014. The conference will cover both strategic questions regarding the contribution the G20 can make to promote development as well as specific development themes that are focus areas of the G20 Development Working Group (DWG). Topics include: international capital flows, multilateral trade, tax and domestic revenue mobilisation, infrastructure, food security and commodity price volatility, and human resources and knowledge sharing. The sessions will explore the views of various actors and stakeholders in the development policy debate, including participants from developing countries, small states, academia, and civil society. The G20’s potential role in contributing to the post-2015 framework will also be discussed. The G20 Studies Centre is jointly organising a conference on global energy governance and the G20 with the Shanghai Institute for International Studies, the Korea Development Institute and the Centre for International Governance Innovation. The conference will be held in Shanghai over 28-29 May 2014. The conference aims to improve the understanding of some of the key issues around global energy markets and the role of the G20 in global energy governance. The focus will be on the role of the G20 in helping to reform global energy governance. 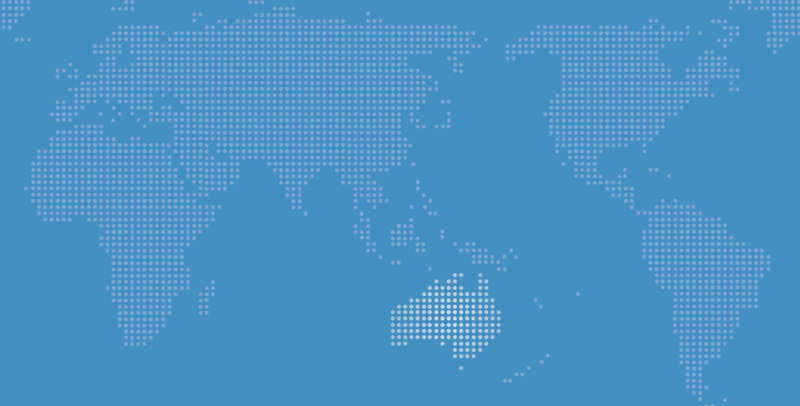 The G20 Studies Centre is hosting a conference in Melbourne on 25 June 2014 with the theme, ‘The G20: Meeting the Global Challenges? – Strengthening the G20’s Accountability and Effectiveness’. The objective of this conference is to canvass specific proposals on how to enhance the G20’s accountability and effectiveness, recognising that delivering on commitments is vital if the G20 is to be the premier forum for international economic cooperation. The emphasis will be on ascertaining how key G20 stakeholders, in particular international organisations, business and labour organisations, and civil society and think tanks, can complement member countries in making the G20 more efficient, more accountable, and more responsive to the global challenges of the 21st century. Four sessions will be held, each canvassing the views of the key stakeholder groups, namely: sherpas, international organisations, business and labour, and civil society. The conference is designed to encourage an open and constructive discussion with a view to identifying concrete ideas and proposals for strengthening the G20’s accountability and effectiveness. The G20 Studies Centre is planning to host a Think20 seminar prior to the Brisbane G20 Summit. The seminar will be held in late October or early November 2014. The aim will be to discuss the likely outcomes from the Brisbane Summit and how this may impact the future development of the G20. The Think20 can make a significant contribution to the development of the G20 and its role in facilitating improved international economic cooperation. Think tanks can provide ideas, introduce fresh thinking, and contribute to the public policy debate. To be effective, however, the work of the think tanks has to be directed towards advancing the priorities of the G20 and seeking to progress meaningful outcomes in these areas, instead of continuously expanding the G20 agenda. This has been the objective in organising the Think20 agenda for 2014. A successful Brisbane Summit would be one where leaders returned to the core strengths of the G20 and used the opportunity to focus on a handful of pressing global economic issues. Specifically, the Brisbane Summit would be a success if leaders were directly involved, and did not simply attend, and showed genuine global leadership by providing a high-level strategic direction for dealing with such issues as restoring global growth and creating jobs, breathing life back into the multilateral trading system in a post-Doha Round world, and providing an effective and forward-looking approach to combating tax evasion and avoidance. G20 leaders would also have been successful if, in providing global leadership, they were mindful as to how their efforts in the above areas would affect the prospects of developing countries. The list of participants from the Think20 2014 roundtable, held on December 11, is available at: http://www.lowyinstitute.org/files/appendix_a_0.pdf. The chair of Think20 2014’s submission to sherpas is attached to this paper. Mike Callaghan and Hugh Jorgensen, eds., Think20 Papers 2014: Policy Recommendations for the Brisbane G20 Summit (Sydney: Lowy Institute for International Policy, 2013). Available at: http://www.lowyinstitute.org/publications/think20-papers-2014-G20. Joe Hockey, “Australia’s Role in Strengthening International Consultation and Cooperation, Address to the Lowy Institute (6 February, 2014),” http://jbh.ministers.treasury.gov.au/speech/001-2014/. The Think20 meeting was held on 11 December 2013. Participants provided a short paper in advance identifying a key policy issue in four areas that should be pursued at the Brisbane Summit – economic/finance policy, infrastructure, trade, and development. Those papers have been published and copies should have been distributed to sherpas. We are collectively seeking to strengthen the Think20 network and the contribution it can make to the G20 process through providing ideas and communicating the importance of enhanced international economic cooperation. Following is a summary of the issues discussed. It is my assessment, not an agreed statement by Think20 members, and just touches on the range of issues covered. First an overarching comment. The world needs leadership and leaders need vision. G20 leaders should be preparing for the challenges of tomorrow as well as meeting the demands of today. Leaders should look to the future and assess how technological advancements, the digital economy and the nature of global business practices are not only challenging tax laws and how to deal with globally operating financial firms, but also trade policy and many aspects of economic and social policies. Technological change will not stop and it will lead to greater interconnectedness and the need for closer cooperation between countries. The assessment of young, high-tech individuals should be sought to gain an insight into likely future developments. The challenge is clear – to achieve what leaders said was the G20 objective in Pittsburgh – strong, sustainable and balanced global growth. The uncertainties and vulnerabilities, particularly associated with the policy mix and the exit from quantitative easing, are significant. Develop comprehensive growth strategies for release at the Brisbane Summit, in keeping with the request by leaders at St Petersburg, with an emphasis on cooperation. The G20 has struggled to have a coherent economic narrative. G20 Growth Strategies should include plans to: increase infrastructure spending where appropriate; ensuring macro stability, keeping markets open, liberalising trade; and promoting efficient labour and product markets. They should incorporate the importance of empowering small- and medium-sized actors, recognising their role in creating jobs. Reducing inequity should be a core component of achieving ‘balanced’ and sustainable growth. A ‘coordinated G20 growth strategy’ should recognise the role of development in boosting global growth and recognise, and deal with, spillovers, both positive and negative. As part of ensuring the G20 has a coherent agenda, the Framework should incorporate analysis of financial imbalances. An effective and stable financial system is vital to achieving growth, and the G20 should improve its oversight of financial regulation – looking at the ‘big picture’ and assessing overall progress in achieving stable and efficient financial systems, including tensions. To date the focus has been on bank regulation, with less emphasis on market regulation, particularly in terms of peer review. Combating tax evasion and avoidance should be a key aspect of each country’s growth strategy, particularly in promoting domestic resource mobilisation, which is an important factor in facilitating development. The position of developing countries has to be recognised. Transparency is a key weapon in combating tax avoidance and should be a focus of the G20 in 2014. As to recognising and responding to risks confronting the global economy, the options proposed cover a number of aspects. One proposal was for a G20 ‘early alert’ system to detect and monitor potential threats. The MAP only addresses real economy imbalances; the IMF and the FSB already evaluate global financial risk and provide an early warning system for signalling vulnerabilities. Rather than the G20 attempting to implement an early alert system, there is a need to improve the interaction between IMF surveillance and the G20. The G20 has to be more supportive and responsive to all aspects of IMF and FSB surveillance, particularly the identification of vulnerabilities and systemic risks. The MAP needs to be better integrated with the surveillance undertaken by international and regional institutions. The G20 should adopt a work program for the coming year based on the highest priority issues raised in the latest IMF WEO – e.g. in the October 2013 WEO, these were the speed of fiscal consolidation, completing the process of repairing financial institutions’ balance sheets, and managing the volatility of capital flows. In preparing for, and responding to, capital volatility that could be sparked by the withdrawal from QE, the adequacy of financial safety nets needs to be examined, including the relationship between the IMF with regional safety nets, and the role of bilateral central bank swap lines, possibly endorsing a set of principles for such swaps. The third area involves more specific proposals to boost the MAP process, such as making it more strategic and obtaining more relevant and timely commitments, with a focus on addressing spillovers, expanding the ‘explain and justify’ approach, introducing clear timetables and monitoring processes, streamlining the publication of final results into a coherent document, and sanctioning publication of reports in advance so they can be externally reviewed before leaders discuss them. Increased infrastructure investment is a potential source of demand growth and a key component of development. Before proposing any solutions to boost infrastructure, however, it is important that the problems to be addressed are clearly identified. While many countries may have similar objectives, the problems they confront will differ, as will their solutions. Moreover, the action necessary to lift infrastructure will depend on national policies and circumstances, not international agreements. The ‘quality’ of infrastructure investment is essential. There are many examples of ‘poor’ infrastructure investment. Look at the experience of southern Europe, where many countries have ‘white elephants’, which represent a misallocation of resources. Project selection must be based on rigorous analysis. And increased infrastructure spending is not an excuse for fiscal laxity. Increased infrastructure spending is confronted by concerns over public debt. Increased private investment in infrastructure is welcome, but care is needed. Some infrastructure is a public good and should appropriately be funded by the public sector. Moreover PPPs are highly complex instruments and require advanced capacity within the public sector. Regulatory risk is a major concern confronting private sector involvement in infrastructure. The challenge is to promote more public and private financing of infrastructure. The path chosen should always be based on value for money and the circumstances facing each country. There is no ‘one size fits all’ solution. To enhance public financing, a sovereign government’s budgetary position should be divided into two distinct parts, an operations account and a capital (investment) account. The issuance of infrastructure bonds (a liability in the capital account) could finance individual infrastructure projects (an asset in the capital account). This would provide more disciplined market pressure through the pricing of each issue. But capital markets need to be developed in some countries. To support emerging markets and developing countries, the G20 should ensure the IFIs pay more attention to these countries’ needs in the quest to develop their capital markets. Draw on the experiences of the ASEAN Infrastructure Fund, support regional bond market initiatives such as the ASEAN+3 Asian Bond Market, and promote good practices such as the Asian Bond Fund 2. Support the development of regional development funds and cross-border PPP frameworks. To support greater private financing, translate the G20/OECD High-level Principles on Long-term Investment Financing by Institutional Investors into action through promoting the exchange of experiences, best practices, and lessons that countries can tailor to suit their circumstances. Information asymmetries appear to be a problem. To respond, establish an international infrastructure forum to bring together policy-makers, financiers (particularly pension funds and fund managers), and implementers (project sponsors) to discuss respective needs and requirements with long-term infrastructure financing. Rather than simply tasking the MDBs for reports, initiate processes to identify whether the MDBs are efficiently and effectively supporting infrastructure development. MDB support for infrastructure has been declining over recent years. Aspects covered in the discussions included combating protectionism, the implications of regional trade arrangements, and multilateral trade liberalisation through the WTO. The papers that have been published were completed prior to the WTO Bali trade agreement reached on 7 December 2013. The standstill and its monitoring process should be extended to cover non-tariff measures, or what is called ‘murky protectionism’. The inter-agency work program evaluating protectionist measures by G20 members should be continued and widely publicised. In order to provide additional incentives for countries to abide by commitments, a peer review process within the G20 to monitor adherence to the standstill commitment should be established. Take steps, to be verified in the inter-agency reporting process, to give effect to the commitment to roll back existing protectionist measures. Make a serious effort at ensuring that regional trading arrangements are congruent with building multilateralism. The WTO’s review process is important. Mega-regional trade agreements should include agriculture. The G20 should encourage members to share information regarding regional trade agreement negotiations that they are participating in with other G20 countries. It should also support the development of a ‘regional trade agreement exchange’; a clearinghouse for all RTAs. On the multilateral trading system, the WTO Bali agreement was very welcome. It shows that the multilateral approach to liberalisation is possible. And multilateral liberalisation should be the main concern of a global body like the G20, because it is the only way all countries benefit. The momentum from Bali should be maintained and the Doha Round concluded with another discrete set of deliverables. Bali demonstrated the many problems in trying to conclude package deals under current WTO arrangements. Changes are necessary. If there is a major global issue that G20 leaders must confront in 2014, it should be providing strategic direction to the future of the multilateral trading system and the WTO. This direction should be anchored around global value chains and their implications for international trade negotiations. The WTO needs to include investment in a more explicit way. This could involve establishing an independent standard body, linked to the WTO, to develop model clauses, treaties, and practices for trade and investment agreements. Support developing countries in gaining the required expertise to deal with and utilise the WTO Dispute Settlement Mechanism. Support plurilateral negotiations as a key mechanism to sustain the WTO’s position at the apex of the global trading system. There have been many criticisms of the G20 development agenda and the structure and operation of the Development Working Group. The Group should be restructured and its focus should be on financing for development. Return development to the Framework to help inform a new growth strategy and narrative. The Framework’s accountability process should include development. This will mainstream development into the G20s work program. Prepare a narrative of the post-2015 agenda – combining vision and principles, together with two or three options of a limited number of concrete and time-bound commitments. Embrace the World Bank’s assessment that extreme poverty could be eliminated by 2030. Assist in shaping content across the UN-development, UN-environment, and UNFCC climate change processes. Climate change cannot be ignored by the G20 in 2014. The G20 is not the negotiating forum, but strategic discussions can build momentum, including on how to finance climate change mitigation and adaptation. Outline an agenda for G20 action on vehicle efficiency and emissions. Get leaders directly involved on development issues. Commission a handful of leaders to prepare reports on specific topics for discussion at the Brisbane Summit, such as on food security, financial inclusion, infrastructure, and domestic resource mobilisation. On infrastructure, focus on strengthening the financial and technical role of the multilateral development banks, and also their efficiency. MDBs are important since they can raise capital more cheaply and negotiate more effectively. This could be achieved by tasking two leaders to jointly review the role of the MDBs in the post-2015 environment or asking the heads of the MDBs to report to leaders on their role. Build on previous commitments to boost agricultural growth with attention to smallholders, especially women and young farmers. Give priority to assisting developing countries in capacity building in the area of tax administration so as to benefit from automatic exchange of information and work on BEPS. This is one sure way to boost domestic resource mobilisation. Produce an ‘Accountability Assessment for Impacts on Development and Growth’. This would identify all development commitments, rank them for likely development impact, and monitor implementation starting with the highest-ranking commitments. Monitoring would be undertaken by independent experts. On the phase-out of fossil fuel subsidies, direct implementation efforts should be made through an IEA consultative process that includes IEA members and non-members. The G20 should also encourage more robust support for the phase-down of HFCs, as agreed to at the St Petersburg Summit. The theme for the 2014 Y20 Summit is ‘engaging the present, shaping the future’. It reflects the desire for this year’s Y20 summit to both provide the opportunity for young people to shape G20 leaders’ decision-making on current G20 issues, and to coordinate youth engagement and action to drive future-focused change around our united areas of concern. Building on this theme, the 2014 Australian presidency of the G20 presents an opportunity for Australia to leave a lasting legacy of enhanced youth engagement as part of the G20 for future years. It also presents an opportunity for the Y20 to build on the work of its predecessors in not just growing the legitimacy, reach, and impact of the Y20 summit, but also better integrating the voice of G20 youth into the existing G20 dialogue. Much of this responsibility for enhancing the G20’s youth engagement strategy rests with the 2014 Y20 Planning Group and the delegates to the 2014 Y20 Summit. Both the Y20 Planning Group and the delegates have to achieve these goals while responding to the directions of the Australian G20 presidency to be more succinct and pragmatic in their recommendations to the G20 leaders, and to build greater traction with other G20 engagement groups, G20 working groups, and taskforces than ever before. Aligning the Y20 agenda with the G20 and B20 agenda ensures that young people have the opportunity to have their voices heard on the pressing global issues that are confronting the G20 leaders. The desire to achieve this heightened traction for the Y20’s policy priorities, informed by the key outcomes of the 2013 G20 Leaders’ Declaration, led to the selection of the Y20’s three discussion topics for 2014: growth and jobs creation, global mobility, and sustainable development. The Y20 has also built a strong relationship with the B20 engagement group, with the Y20 participating in the B20’s Human Capital Taskforce and working with the B20 to organise joint policy events over the course of the year. This is in addition to other engagement activities, such as presenting policy recommendations at the G20 Employment Taskforce Meetings and the Development Working Group’s Food Security Review. This year, the Y20 is required – as part of a directive from the Australian G20 presidency – to generate three key recommendations to fit into a two-page communiqué. As such, there are two competing sets of challenges: first, to balance the needs of the Australian G20 presidency and encapsulating the ideas of Y20 delegates; and second, to better factually support the policy agenda. In meeting the first challenge, the Y20 has restructured the policy development process to generate two documents at the end of the Y20 summit: a communiqué encompassing the consensus of ideas from Y20 delegates and a new document – a three-point ‘policy ask’ to G20 leaders that will be the focus of a global youth action strategy on key issues such as youth unemployment. The Y20 has also developed a knowledge partnership with Deloitte Access Economics in order to deepen its policy evidence base, in addition to broadening its policy base by working in conjunction with the B20 Human Capital Taskforce and the G20 Employment Taskforce. Currently, no form of accountability system exists through which G20 leaders are tracked against how their commitments deliver on both the ideas of the Y20 and for young people in general. In 2014, the Y20 commenced work with the Toronto-based Munk School of Global Affairs’ G8 and G20 Research Group’s Dr John Kirton and Madeline Koch, the International Diplomatic Engagement Association (IDEA), and Young Diplomats of Canada to develop an accountability framework for the G20. Across all of the Y20’s work, the aim is to produce succinct, action-focused output for the G20 leaders and to work with Y20 delegates to create a system of accountability through the establishment of a comprehensive multilateral global accountability framework. The Y20 is looking to synthesise the data on the last 10 years’ worth of G20 commitments; identifying the commitments that are most important to youth and then empowering Y20 delegates to create national accountability reports that assess compliance and identify innovative solutions to achieve compliance. Instead of seeing the Y20 as an annual summit, we are viewing the Y20 as an opportunity for promoting twelve months of dialogue among G20 youth that will include a major international summit. Our focus will be on ensuring that dialogue and action continue from the conclusion of the Y20 summit itself to the G20 leaders’ summit in November 2014. This year, much of the Y20’s policy development will occur pre-summit. This change was necessary to ensure that the Y20 policy was developed early enough to enable the delegates’ ideas to make the greatest impact on the G20 leaders’ agenda. In addition, we are focusing part of the Y20 summit on encouraging delegates to participate in capacity-building exercises as young leaders and policy advocates, and will be working on developing individualised country engagement and action plans to further the reach of the Y20 process. Since the formalisation of the G20 leaders’ summit process in 2009, there has been no consistent approach to engaging G20 youth. The lack of a coherent strategy in engaging G20 youth means that salient issues that affect G20 youth – most notably youth unemployment, which has consistently appeared on the G20 leaders’ summit agenda over many years – have not been advocated or championed by youth to G20 leaders as effectively as they could be. Equally, G20 youth have not had the capacity to consistently hold G20 leaders to account for their commitments to youth. As a result, the concerns and recommendations of young people have not been advocated as well as they should have been to G20 leaders, nor has the youth agenda had the continuity necessary to progress these concerns from year to year. The lack of a single rallying point for G20 youth in the broader G20 process stands in stark contrast to other G20 engagement groups, notably the B20, which has a more formalised engagement structure both within and outside the existing G20 architecture, regularly liaises with the G20 presidency, and has established itself as the premier business forum in which the business world can engage with G20 leaders. Provide consistency in the Y20 agenda from year to year, while acknowledging the priorities of the host G20 presidency each year. Provide a platform for the tracking of commitments made by the G20 leaders to G20 youth, with the Y20 and its partners annually holding each of these parties accountable to their commitments. Build sustainability into the Y20 program, ensuring that G20 youth can make effective contributions to the G20 process in the long term. The Y20 has identified three themes for 2014: growth and jobs creation, global mobility, and sustainable development. The rationale below offers as explanation as to why these are significant issues worthy of the Y20’s attention. Youth unemployment has featured prominently as a critical issue at the last three G20 leaders’ summits. Despite the attention G20 leaders have given to this issue, youth unemployment numbers have continued to climb, rising to 73 million in 2013 and showing no signs of slowing. In his recent speech to the World Economic Forum, Australian Prime Minister Tony Abbott highlighted the plight of the 621 million young people who are neither studying nor in employment around the world. It is a pertinent reminder of how employment – particularly youth unemployment – is a cross-cutting issue for all sectors of society, whether it be business, civil society or government itself. There is a clear need for multi-pronged and balanced strategies for growth and job creation, targeted, time-bound youth employment plans, and increased levels of apprenticeships, skills training and other work-training programs. The OECD, ILO, B20 and G20 Employment taskforce alike all stress that the complexity of the employment and labour market challenges mean that only well-informed, cross-sectoral policy that addresses supply and demand constraints will allow G20 nations to overcome them. The global mobility aspect of the 2014 Y20 Agenda is intended to explore solutions to barriers that are impeding the realisation of a cohesive globalised community and economy, namely: labour mobility challenges and access to and transferability of education, and trade and investment barriers. For young people, the concept of labour mobility goes hand-in-hand with improvements in employment opportunities through more dynamic education systems and human capital systems that better match labour supply to demand. Young people need to be in a position where the skills they have acquired in their home G20 member state are equally recognised in other G20 member states. If nothing else, a greater emphasis on global mobility – particularly with educational and employment opportunities – will enable young people to be better engaged in employment or further training in a softening global economy. Similarly, this year’s G20 presents an opportunity to work through and remove trade and infrastructure barriers and facilitate heightened investment in infrastructure and small- to medium-sized enterprises. As highlighted in the extensive work of the OECD, trade promotes growth, creates jobs, and increases incomes, a message which was reinforced by Prime Minister Tony Abbott during his speech to the World Economic Forum. With regards to facilitating investment, there is a need to implement measures to facilitate the flow of savings to productive investments (such as infrastructure), which includes addressing possible regulatory barriers to financing and developing local capital markets. Together, there are crucial opportunities to strengthen the future of the global economy by enabling young people and entrepreneurs to access new markets, capital, and resourcing outside their home state and to improve their understanding of the world they live in. Sustainable development cross-cuts many of the other focus areas of the G20, such as economic growth (the overarching focus of the G20’s sustainable development agenda), unemployment, and ultimately building a resilient global economy. However, despite the issue of development being on the agenda of the G20 leaders’ summits since 2009, this issue has been treated as a separate agenda item to be resolved. To date, calls for ‘mainstreaming’ development through the existing G20 agenda have failed to gain traction. 2014 presents an opportunity for the Y20 and G20 to emphasise the importance of development on the G20 agenda, highlighting that it needs to be reframed in terms of global economic growth and ensure that emerging economies in the G20 are in a position to better adapt to turbulent economic conditions when they arise. In reframing this issue, the G20 will be in a position to better respond to these development challenges and in turn raise the living standards of millions of people around the world. There are two overarching outcomes that will define success for the Y20 for 2014, both from a policy and sustainability perspective. First, the overarching policy goal is to secure a bolder commitment from G20 leaders to take action to address youth unemployment at the leaders’ summit in November. This is clearly an area that has a direct impact on G20 youth (and young people more broadly), and which also links to other parts of the G20 agenda, particularly global mobility and inclusive growth. The risk of a ‘lost generation’ of young people who are not able to find meaningful employment opportunities looms large and the Y20 provides an opportunity to engage with G20 leaders on this very important issue. From a sustainability perspective, the goal for the Y20 is to strengthen the youth engagement group as part of the broader G20 process, to the point where it is equivalent with other groups such as the B20. This can be realised through the implementation of a ‘Y20 Troika’ or a dedicated ‘Y20 Secretariat’. If the G20 takes these steps to make the Y20 more sustainable, it will enable G20 youth to more effectively advocate to G20 leaders on the issues that affect them most – after all, G20 youth will eventually inherit the policy challenges facing current G20 leaders. A dedicated troika or secretariat would – in conjunction with a more formal accountability framework – help to track the commitments made by G20 leaders over a period of time and ensure that they are held responsible for their commitments and undertakings to young people. Chair, Y20 Planning Group. Paper prepared on 28 February 2014. The Y20 Planning Group is a select group of young Australian leaders who have shown leadership and achievement in the areas of entrepreneurship, social capital and global affairs. Five delegates have been selected by each G20 government to represent their respective nation at the summit due to their accomplished background in these three areas. G20, “Cannes Summit Final Declaration - Building Our Common Future: Renewed Collective Action for the Benefit of All (2011),” http://www.g20.utoronto.ca/2011/2011-cannes-communique-111104-en.html; “G-20 Leaders Los Cabos Declaration (2012),” http://www.g20.utoronto.ca/2012/2012-0619-loscabos.html; “G20 Leaders’ Declaration, St Petersburg (2013),” http://www.g20.utoronto.ca/2013/2013-0906-declaration.html. International Labor Organization, “Global Employment Trends for Youth 2013: A Generation at Risk”. G20 Task Force on Employment, “Addressing Employment, Labour Market and Social Protection Challenges in G20 Countries: Key Measures since 2010 (July, 2013),” http://www.oecd.org/els/emp/G20_2013_Report_E_Russia130703.pdf. UN Secretary-General’s Global Initiative on Education, “About the Global Education First Initiative (2014),” http://www.globaleducationfirst.org/about.html; Annabel Hepworth, “B20 Taskforce Tells Educationists to Target Growth Areas,” The Australian, 1 March 2014. Douglas Lippoldt, ed. Policy Priorities for International Trade and Jobs (OECD, 2012); Abbott, “Prime Minister’s Address to the World Economic Forum, Davos, Switzerland (23 January, 2014)”. Mike Callaghan, Playbook for the Brisbane G20 Summit (Sydney: Lowy Institute for International Policy, 2013). Sharan Burrow was elected General Secretary of the ITUC at its Second World Congress in Vancouver, June 2010. Prior to this, she held the position of ITUC President since its Founding Congress in Vienna (November 2006) and the position of ICFTU President since its 18th World Congress in Miyazaki (November 2004). She is the first woman to have held any of these positions. After graduating from the University of NSW in 1976 she taught in high schools around country NSW. Subsequently she held various elected positions with the NSW Teachers’ Federation, and became President of the Australian Education Union (AEU) in 1992, representing the AEU on the ACTU Executive through the 1990s. In May 2000, Sharan Burrow became the second woman to be elected President of the Australian Council of Trade Unions (ACTU). Sharon has also served as a member of the Governing Body of the International Labour Organisation. Tim Costello is one of Australia’s most sought-after voices on issues of social justice, leadership and ethics. Since 2004 Tim has been CEO of World Vision, Australia’s largest international development agency. Trained in economics, law, education and theology, Tim has practised law, served as a Baptist minister, and has been active in church and community leadership, local government and national affairs. Robert Milliner is a Senior Adviser at UBS and the B20 Sherpa for Australia for 2014. He is also Chairman of the Board of the Foundation for Young Australians and a director of the Australian Charities Fund. From 2004-2011 he was Chief Executive Partner of Australia's pre-eminent international law firm Mallesons Stephen Jaques (now King & Wood Mallesons). In 2012 he was the co-author of an independent review of Commonwealth regulation making practices for the Minister for Finance & Deregulation. Robert was a director of the Business Council of Australia from 2005-2011, chaired the Business Reform Task Force and was a member of the Global Engagement Task Force. He has a Bachelor of Commerce and Bachelor of Laws (Hons) from the University of Queensland and a Master of Business Administration from the University of Western Australia. In 2010 he attended the Advanced Management Program at Harvard Business School. Holly has a BA (Economics) and a Law degree and has worked with more than 20 non-profit organisations across the world, and currently runs HRE (a consulting and a leadership development company). Prior to founding HRE, Holly worked at Rio Tinto, where she assisted with developing and directing business improvement and change management initiatives. As a challenge strategist, Holly employs big-picture thinking to take a global perspective to the most crucial challenges facing leadership teams today and to consider how human skill and capital cannot just be used to its fullest but how the talent, capacity and capability of people can help solve these challenges. In 2012 Holly became the world’s youngest Rotary president, and was named both Western Australian of the Year and Young Volunteer of the Year. Holly represented Australia at the G20 Young Entrepreneurs Alliance Summit in Moscow and has been appointed by the Prime Minister to Chair the 2014 G20 Youth Summit in Australia. Dr Heather Smith is Australia’s Group of Twenty (G20) sherpa – or special representative of the Prime Minister. As G20 sherpa, Dr Smith is responsible for providing advice on G20 issues and preparing for the summit. Prior to her appointment as G20 sherpa in September 2013, Dr Smith had responsibility for economic, industry, infrastructure, environment and strategic policy matters in her role as Deputy Secretary Economic and Strategy at the Department of Prime Minister and Cabinet. Before joining PM&C in May 2013, Dr Smith was the Deputy Secretary in the Department of Foreign Affairs and Trade with responsibility for the Americas and Africa, North Asia, international security issues, G20 and the international economy, and information technology issues.